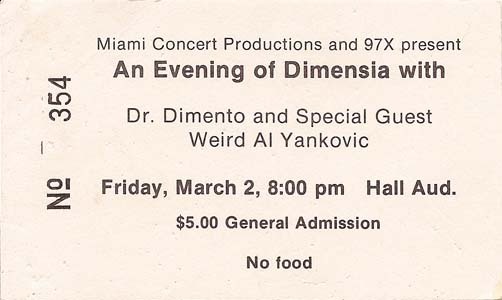 A ticket for Al's March 2, 1984 concert in Oxford, OH. Note the embarrassing misspellings of "Demento" and "dementia." Oh, and no food.